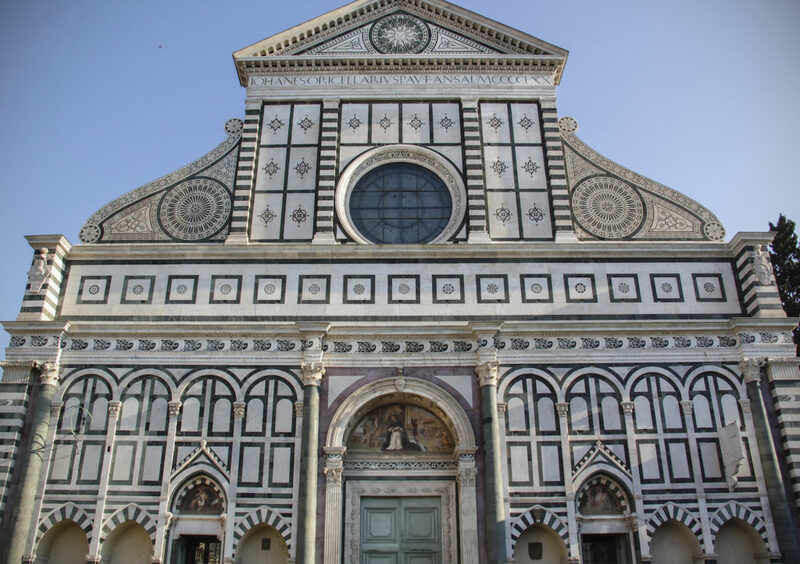 There are so many churches in Florence, it’s hard to know which ones to visit! Here’s a mix of famous basilicas and more intimate churches we recommend for your next visit, with a bit of history and photos to tempt you. Several years ago, I taught art history to study abroad students in Florence, and I always liked to start their experience at Santa Croce. This was the first basilica (the term for a large, Latin-cross church) in Florence built by a mendicant order, of which the two main ones were the Franciscans and the Dominicans. Santa Croce is a Franciscan church – friars still live there! – that grew on the edge of the city of Florence out of necessity: this order’s gentle friars, who preached forgiveness, were gathering ever-larger groups to their sermons that were initially held outside. 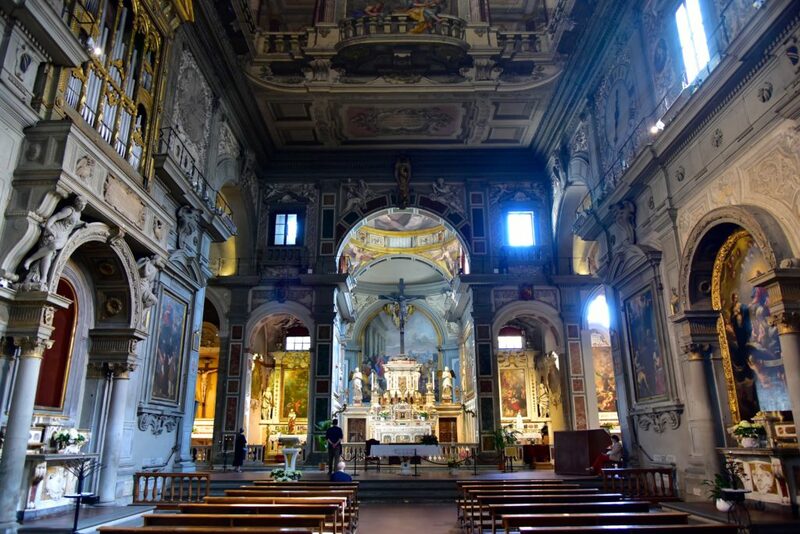 Some say St. Francis (d. 1226) himself founded Santa Croce; the present building was begun in 1294 and, being very large and decorated, had rather little to do with the friar’s famous vow of poverty. Santa Croce is well known as a Pantheon of Florentine greats, as its nave altars are the tombs or memorials of many important thinkers, politicians and artists. There are the tombs of Leon Battista Alberti, Michelangelo and Galileo Galilei, as well as monuments to Dante and Leonardo. It is also truly notable for its fresco cycles that mark the beginning of the Renaissance, or even a proto-Renaissance as it is called. The great artist Giotto painted two chapels to the right of the high altar, and while they are a bit ruined, the Bardi Chapel dedicated to Saint Francis is an important testament to the artist’s innovative use of space, volume and emotion in storytelling. I would always take students and visitors to Santa Maria Novella as a comparison to Santa Croce. Located diagonally across the city, this huge church was begun about fifty years after the Franciscan one and was built for the Dominican order. You may know the name well as it lends itself to the train station, located at its rear. This gigantic complex is another great Gothic basilica that, on the surface, seems quite similar to Santa Croce. But a closer look at some of the paintings reveals a different mood that relates both to the Dominican patronage and the timing. This group of friars was more dogmatic and the frescoes they commissioned for their chapels reflect this in the way that you see figures lined up in strict hierarchies – take a look at those in the Spanish Chapel, for example. Two truly exceptional works of art here at Santa Maria Novella are the detached fresco of the Holy Trinity by Masaccio, in the main aisle on the left, and a sculpted wooden crucifix by Brunelleschi in the Gondi Chapel, left of the high altar. 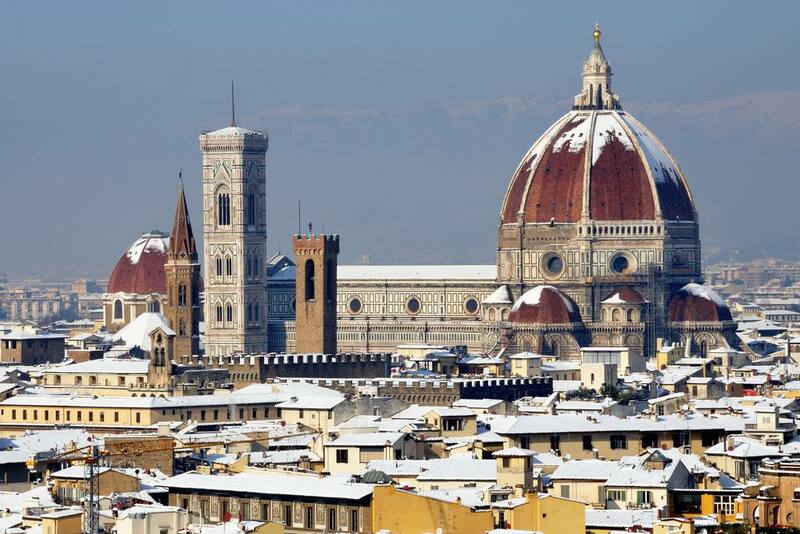 There can be only one Cathedral, or Duomo, in any city as this word refers to the seat of the Bishop. 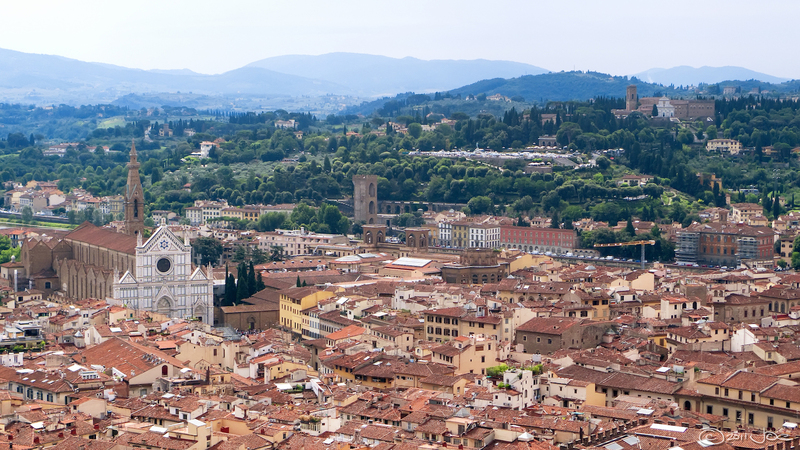 Florence’s Cathedral dominates the city’s skyline with its distinctive orange terracotta cupola, and it never fails to impress from down on the ground, either. As is common only in Tuscany, the functions of a cathedral are separated out into different buildings – the church, belltower, and baptistery. The baptistery pre-dates the church and is 11th-century Romanesque, with an interior dome that is covered in mosaics painstakingly attached to the wall by imported Venetians. The church is built on the foundations of an earlier and much smaller church, and is larger than a football field – which is to say that nobody had attempted to build anything of this size when they started it at the end of the 13th century. The dome itself is a fantastic feat of engineering as they had to cover that huge span, and Brunelleschi accomplished it by creating two domes, one inside the other, with a staircase that runs in between – that you can conveniently now walk up. 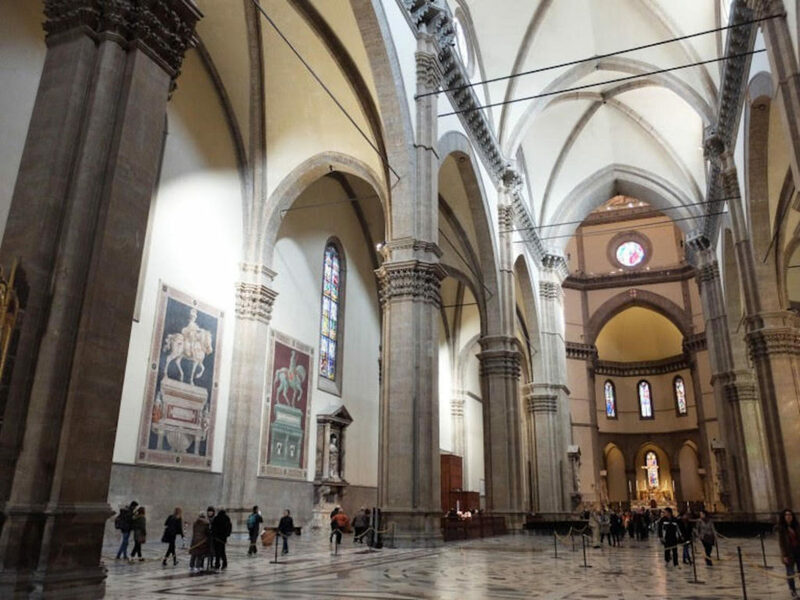 If visiting this church in Florence, get the combined ticket to visit all its parts, including the Opera del Duomo museum that houses works made for the Duomo as well as provides well displayed information about how the dome was built. 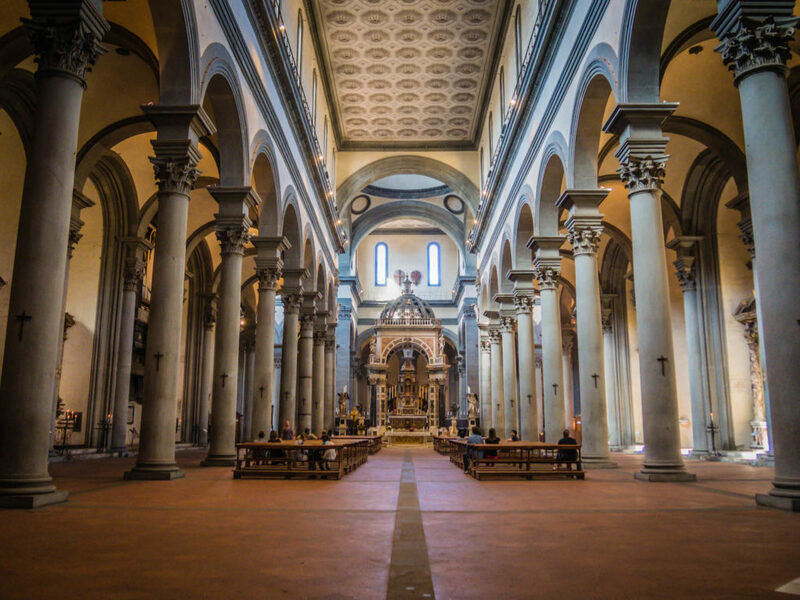 San Lorenzo was the first entire church designed by Brunelleschi, and is worth visiting as a pure example of the Renaissance style of architecture that he established. San Lorenzo is a large basilica dating to the 1420s. The calm colour scheme of white walls and dark grey “pietra serena” accents is typical of Brunelleschi and makes use of common, inexpensive building materials native to Tuscany. If you look at a floor plan of this church, you can admire its exceptional regularity in assembling geometric shapes like squares, circles and rectangles. This was a major innovation at this time when building was less planned and more irregular. Renaissance architects’ use of these shapes corresponds to their belief that these create a space we can instantly feel at one with. If you feel calm inside this church, and feel like you can understand it as soon as you enter it, they’ve done their job. I’ll say less about these smaller churches, but hope that you’ll find the time to follow my “church in Florence” tour, as these spaces are truly special, and each one is distinct! Lots of people visit Piazza Santo Spirito, in the Oltrarno, in the evening for the area’s great nightlife, but at that time, this church by Brunelleschi is closed. 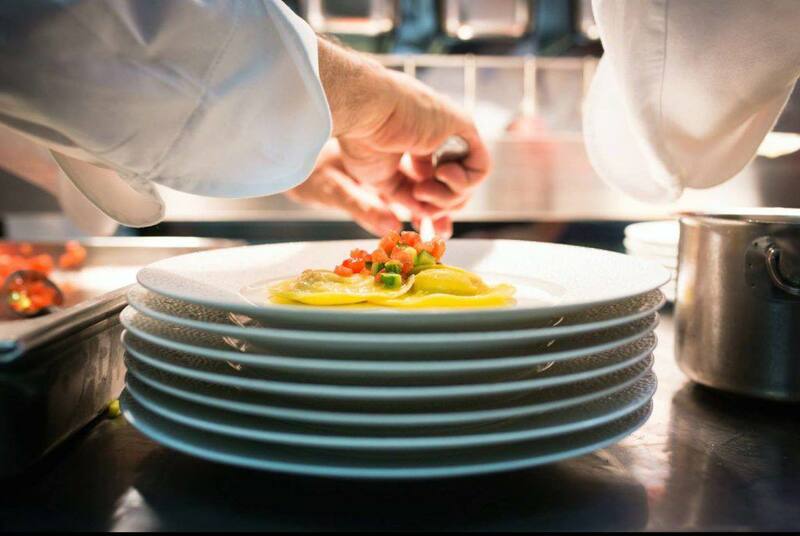 Head over during the day and you’ll be greeted with silence off the buzzing piazza as soon as you go inside its double doors. This church was designed by Brunelleschi almost 20 years after San Lorenzo, though was finished after his death, and plans were changed at that time. It makes for an interesting comparison if you’ve visited both of them! Here at Santo Spirito, it’s nice to stop and look at the excellent quality paintings found on the side altars. Don’t miss the crucifix said to be by Michelangelo in the sacristy. At the end of Florence’s swank shopping street via Tornabuoni, just before you hit the Arno and go over the ponte di Santa Trinita is a piazza and church of the same name. This church is never crowded with tourists because it’s not considered a major site to see, yet it houses a very interesting fresco by Domenico Ghirlandaio from the 1480s. 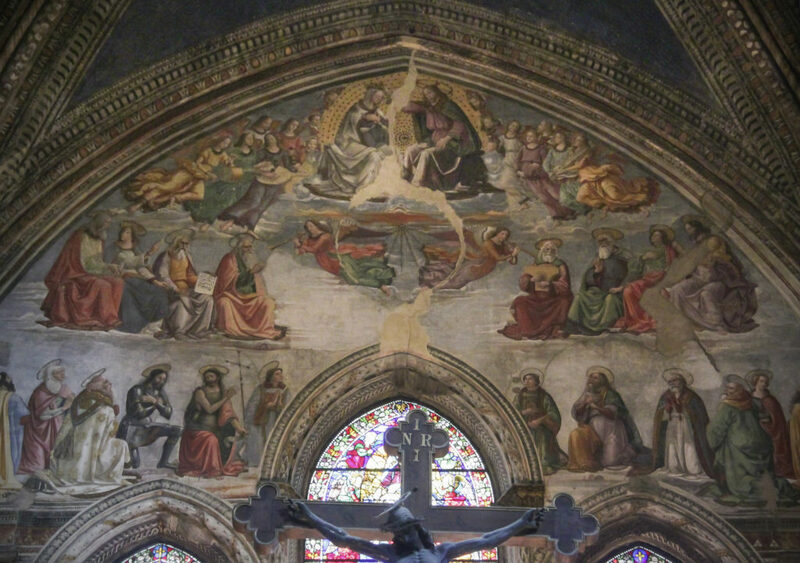 The Sassetti chapel is located to the right of the high altar and it tells stories of Saint Francis. What’s fun about these scenes is that they are set in contemporary Florence rather than in the saint’s lifetime. Ghirlandaio was much loved as an artist for his ability to render the opulence of peoples’ clothing and details of their faces and hair in paint, and these frescoes contain portraits not only of the city but of the nobles who inhabited it. With the glitter of gold from the Ponte Vecchio still in your eyes, stop into the little church of Santa Felicita tucked off to the left on the street that runs from the old bridge to Palazzo Pitti. While as a whole it might not seem particularly special, there is one chapel, to the right of the entrance, that will knock your socks off! 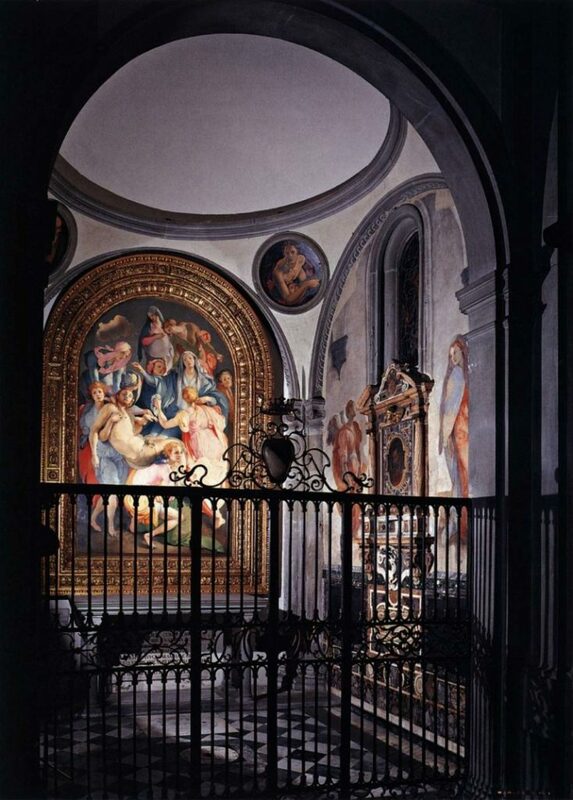 This is the Capponi chapel, with paintings by Mannerist artist Pontormo. The brightly coloured Deposition, on the altar, is only part of the story, which continues on the entrance wall with a fresco of the Annunciation and in the roundels above with portraits of the four evangelists by Pontormo and Bronzino. The earlier Renaissance looks like an old maiden in comparison to these exuberant forms and colours, recently brought back to light through restoration (read about it here). The young and energetic Pontormo’s style broke with tradition and introduced compositions that nobody had ever seen before. 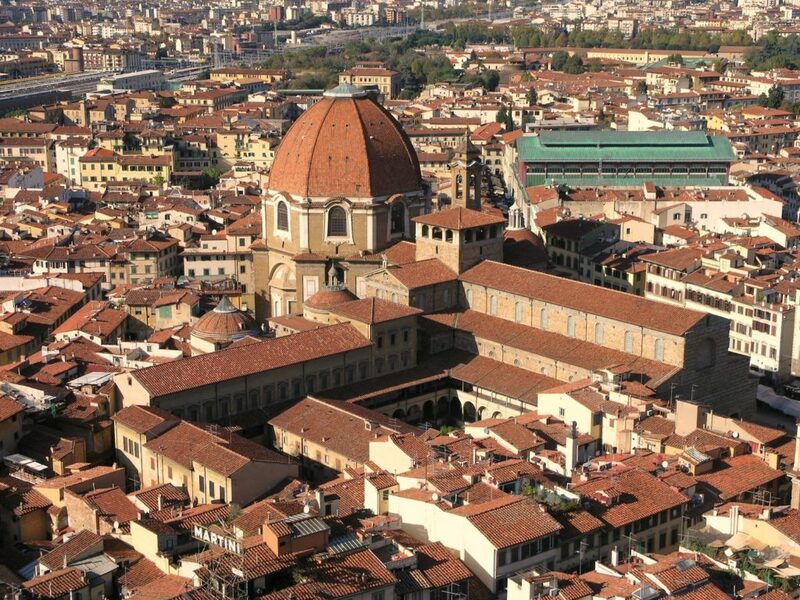 Main photo: Santa Croce Church in Florence from above by Flickr user mustangjoe.